Even the smallest home restoration project can transform a room or an entire home. For over two decades, Osborne Painting has been a valued interior restoration services company. Homeowners in Raleigh and surrounding areas have turned to Osborne for all of their residential restoration needs! From painting the walls of your entryway to refinishing your kitchen cabinets, Osborne Painting has the knowledge and the expertise to get the job done right — but don’t just take our word for it! Read some of our exterior painting and interior painting testimonials to see what other clients have said about our services! Taking on work in your Raleigh home can be a challenge, especially if you aren’t exactly sure of what you’re doing. There’s the stress of working in unfamiliar territory, coupled with the potential for uncovering previously undiscovered issues like drywall damage. And there’s always the threat of doing damage yourself. Leave the handiwork to the skilled, efficient professionals at Osborne Painting. We set the standard for quality in the area and we will give you the results you hope to achieve! Beautify your home’s walls, doors and more with a fresh coat of paint applied by our experts. 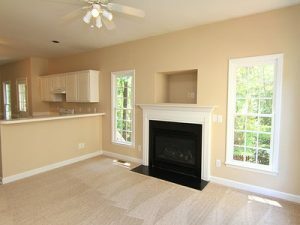 We can paint a single room or the entire inside portion of your house with a careful hand and an attention to detail. Don’t worry about preserving your furniture and household belongings, as the experts at Osborne Painting has you covered! We’ll secure all the work areas with drop cloths, prepare the surfaces for painting by spackling, caulking and other services we plan to execute. In order to ensure proper adhesion and a smooth, beautiful finish, we sand all surfaces. When we are finished, we’ll thoroughly vacuum and clean up leaving your home in much better shape than before. Often coming up in conversation, wood trim repair and replacement should not be overlooked. While other painting companies fail to touch on this aspect of interior decor, we pride ourselves on offering custom wood trim repair and replacement services to ensure you receive exactly what you were looking for. Whether we’re talking about wainscoting, chair rail, crown molding, window and door casting, or baseboard, we’re able to enhance the look and feel of your home or commercial property’s interior. While wallpaper removal may look easy, it’s often time-consuming and more difficult than you may think. There are numerous benefits of hiring a wallpaper removal professional such as prevention of potential damage, a punctual start-to-finish timeframe, and the convenience of utilizing the professionals’ tools and expertise. We are ready to take on textured ceiling and popcorn removal projects at all times. There are numerous benefits to having an expert handle these projects such as safety, increasing your home’s value, and molding your home to be more modern and stylish. Sometimes, exposing those bare and flat ceilings can be an outstanding upgrade. Refinishing cabinets can drastically enrich your kitchen’s look. At the same token, these projects are typically time-consuming, physically demanding, and fairly repetitive when done appropriately. Our cabinet refinishing services are green, inexpensive, and convenient, as they will save you time and energy. 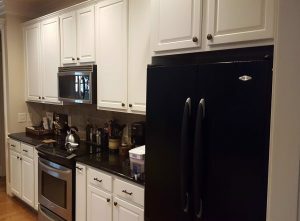 We have extensive experience with our cabinet refinishing services, and the projects are often very cost-effective and much cheaper than replacing your kitchen will brand new material. Along with that, the options and design possibilities are endless. Our services don’t just begin and end with painting — Osborne is a full-service contractor, meaning we can handle all of your needed repairs and installations prior to the painting process. Painting is often the last piece of the puzzle — the transformative icing on the cake! In many instances, drywall needs to be repaired, windows can be replaced and damage from fire, smoke, water, and termites can be fixed before painting begins. We prime all new materials when possible to ensure maximum durability. It’s all a part of our promise to do the job right! Don’t call two or three different contractors to do the job when all you need is one: Osborne Painting. We are meticulous in our approach to interior restoration because, at Osborne Painting, we truly care about maintaining high standards of workmanship so our clients can enjoy the many benefits of a newly-painted interior, such as a higher R.O.I., the ability to hide scuffs & slight damage, and an improved overall appearance. Painting the walls inside your home is one of the most nailbiting renovations you can make. A fresh coat of paint is affordable and provides a high return on your investment, especially if you are considering selling your house in the near future. 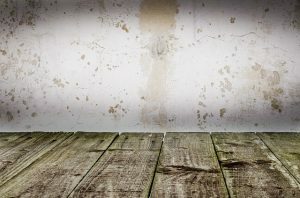 If you have small children or pets or haven’t had your house painted over a long period of time, there’s a good chance your walls have accumulated quite a few marks and scuffs. Paint will cover the blemishes and leave your interior looking brand new! You spend much of your time at home — why not make the space as visually enticing as possible? New color integration can overhaul a room entirely, boosting your overall satisfaction with the house itself. Check out our Raleigh interior painting page to learn more about increasing your house’s R.O.I. and the benefits of interior painting. Contact Your Raleigh Interior Painting Company Today! When you choose Osborne Painting for Raleigh interior painting needs, you can rest easy knowing you’ve chosen a company committed to quality, at the fairest of prices. Whether it’s cleaning, preparing, sanding, caulking, priming, or painting, all steps are completed before moving on to the next. We’ll take the time to get the job done right. Take a look at our client testimonials to see for yourself just how satisfied Raleigh homeowners are with the quality workmanship and customer service they receive from the premier painting contractor, Osborne Painting. Along with that, if you own or manage a commercial property and find yourself in need of interior restoration services, contact Osborne Painting and ask for additional information regarding our capabilities and services for commercial and business clients by calling us at (919) 878-6611. Osborne Painting serves homeowners in Raleigh, Cary, Durham, Chapel Hill, Wake Forest, Rolesville, North Raleigh, Falls Lake, Creedmoor, North Hills, Knightdale, Brier Creek, Apex and more.